Introducing Joan Ibuzo, Fashion Designer, Entrepreneur and the brain child behind House Of Marie. 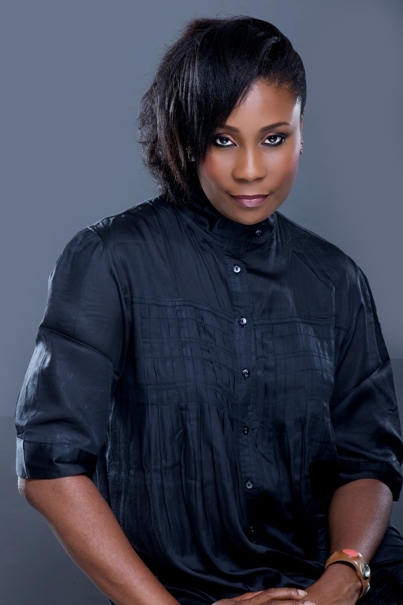 Joan’s unique talent and modern vision has fueled her rise as the leading creative force behind one of Nigeria’s most celebrated fashion houses. A driven Designer whose passion has always been Fashion. Joan studied Economics at University Of Sokoto and graduated with honors and also attended and acquired an Entrepreneurial Management Certificate from the Lagos Business School of the Pan African University before becoming a huge player in the building of many Fashion/Production related companies one to note is SilverBird Productions now one of the very few power houses with fashion and events in Nigeria. She organized numerous fashion shows and events and was even highly instrumental in finding the talented Agbani Darego who later went on to win the “Miss World” competition in 2001. She transformed House Of Marie’s classics such as the Floral Dress pattern and traditional west African attire and iconography into novel and hugely successful designs. Joan has been making trend setting designs on and off for the past 9 yrs until 2009 when she officially launched her line and Brand “The House Of Marie”.